Currently, some smartphones are advanced with their built-in ad blocking systems from their manufacturers, such as Apple with their recent update on the iOS 9 that we feel relatively safe where surfing the web. Previous iPhones were still dependent on third party apps to block ads, but the new handsets are pre-built with the ad blocking filter feature. Other top of the line handsets still require additional layer of protection from online viruses, phishing, and other forms of hacking. Despite the security options of many mobile devices, it is still important to have a reliable ad blocking app to further scan, quarantine, and fix the issue before it corrupts your file, or worst, destroy your mobile device. By avoiding ads, you are speeding up the loading page of each website you visit. Since advertisements on browsers and apps also use bandwidth to load the content and image, it can alter the speed of each web page you view on your mobile device or computer. Of course, this will also depend on whether the website is mobile responsive and have added a plugin on their CMS platform to speed up their website. But, nevertheless, a website with plenty of ads (especially those with videos and moving graphics) will certainly slow down the loading time of web pages. Thus, an ad blocking app is necessary to ensure your mobile content browsing is seamless and fast. Some third party apps or those APK software require the owner to root their Android devices or to jailbreak their iOS smartphones and tablets. 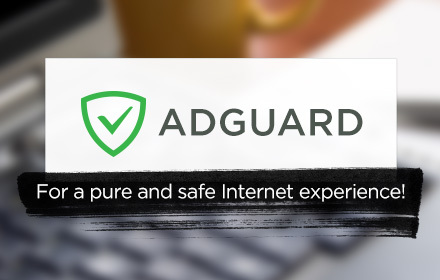 With Adguard, it will not further jeopardize the safety of your mobile device by unlocking it just to keep it safe. Based on the Reddit thread, “Adguard is a non-root app that [promises to] block browser ads.” So, choose wisely in downloading apps. Make sure you do not risk the safety of your mobile device and mobile data. Every website and click you make online, you are leaving footprints or data that hundreds of companies can collect afterwards. This will help them target the right market and provide you with ads that suits your web browsing style. But, leaving footprints can also be detrimental to the privacy of every individual who access even encrypted websites (https://). With Adguard, you are protected with a spyware filter that blocks data transmission from the websites you visit and retain your data’s confidentiality. With the increasing issue of online crimes related to children, many parents are now afraid to let their little ones alone with any form of technology. Thankfully, there are parental control software that blocks websites that are not suitable for their age. The Adguard for Windows have the capability to block unwanted websites based on your preferences. All you need to do is to customize the parental feature on the settings option to allow it to block websites that your children cannot visit. Currently, the iOS and Android apps do not have this module, but you may continue to enjoy it on the PC suite. • It gives you warning when you are visiting low reputation websites, where you commonly get online viruses. • Adguard also warns you about potentially and high risk dangerous websites. • Technical support remains to be its high priority, providing users with reference ticket via email to easily respond to your queries for updates. What features do you love most about Adguard? Share your experiences with us below. Follow our blog for the latest updates about your favorite ad blocking software.